Available in 12 light-catching shades, ranging from ruby red and multi-coloured purple, to bronzy brown and yellow gold. 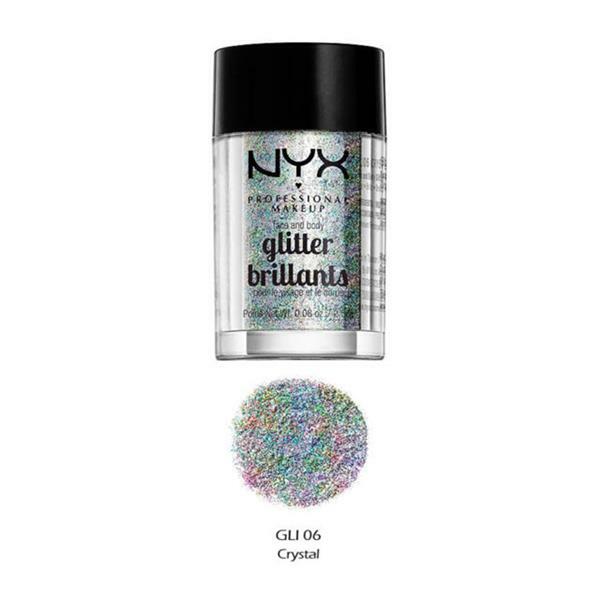 Pair with our Glitter Primer for a sparkle-perfect look. To remove glitter, apply neat liquid soap or shower gel to the glittered area and massage gently until the glitter loosens. Add water to a cotton pad and continue to massage gently. Once glitter has loosened, remove with tissue or cotton pad and bin it, don’t flush it. Take extra care around the sensitive eye area.